Chequered Dance floors. Classical and stylish. If you’re looking for an elegant dance floor to complete your event, then one of our black and white chequerboard dance floors could be exactly what you require. A gloss jet black and brilliant white dance floor that looks beautiful when laid and in place, and is an extremely popular dance floor option due to their competitive pricing. 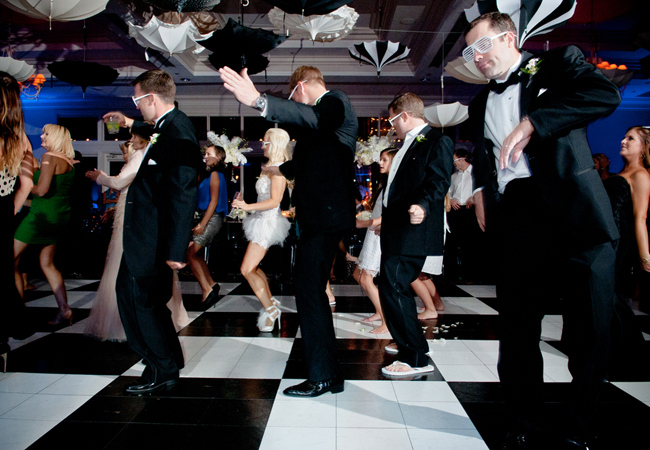 Our black & white dance floors can really compliment and add that finishing touch that is often overlooked. Using a special and unique design our black & white dance floor panels allow the floor to be flexible in 2ft sizes, and by simply slotting and locking together, they provide a sprung dancing floor that will not split apart or raise up when in use. Along with safe low profile sloped edging right around the floor, entry and exit is completely trip and hazard free. Safely installed into nearly every venue, marquee or event location, all you need to do is select and decide on the size. Whether you require a small, or large floor, square or rectangular, we can professionally install creating a fantastic focal and talking point at your wedding or event. Should you need assistance on selecting the correct size of dance floor for your event, please do feel free to contact us where one of our team will be more than happy to help. All of our dance floors are delivered and installed by our trained and experienced team, and as our floors are flexible in size, the time to install will vary depending on the size you choose and select. On average, our black & white floors take around 20-50 minutes to install subject to the size confirmed. This includes the time for us to lay and give a full top polish to the floor to provide the best visual shine, gloss and impression! For weddings and civil partnerships, our black & white floors are even able to be installed during a room turn around time following the completion of the wedding breakfast, ready for the evening celebrations.